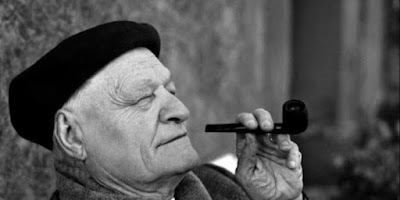 Giuseppe Ungaretti (1888-1970) was a pioneer of the Modernist movement in Italian poetry and is widely regarded as one of the leading Italian poets of the twentieth century. His verse is renowned and loved for its powerful insight and emotion, and its exquisite music. Asa soldier, he saw action in WW I, endured a dear friend's suicide in Paris, and participated in the postwar birth of modernist French and Italian poetry and art. He eventually settled in Rome, decamping only for an academic appointment in Brazil, during which first his brother and then his nine-year-old son died. With so much tragedy in a life lived largely in a crucible of twentieth-century calamity, that he wrote frequently about death is unsurprising, nor is it wonderful that he became engaged in a profoundly tenuous search for God. His spare poetry is the difficult but deeply engaging and affecting record of his quest. The genius of this poem is in the way it laminates the unique and the general; the way it recognises that while being illuminated with immensity may feel like a miracle to a soldier who has lived through a night – or night after night – in the trenches, it is to most people at most times just the start of another day. The features that render ‘Mattina’ so amenable to mass production make it a nightmare to translate. On the one hand, extreme paucity of paraphrasable content; on the other, extreme subtlety of nuance. ‘Mattina’ literally means (as translated by Andrew Frisardi) “I turn luminous in an immensity of spaces.”’ But Ungaretti’s poem mentions no spaces and says nothing about turning. That shows how difficult and challenging it is to translate this terse verse as certain words are implicit and not explicit in the poem. The real point of Ungaretti’s insight is the effect of vast reality of a physical universe (seen in the morning, sea or sky) on the human soul. 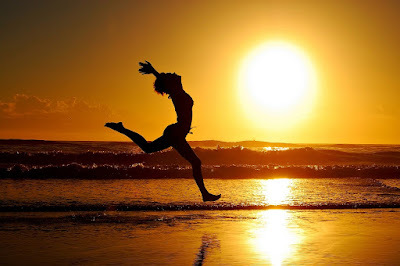 Far from dismaying the poet, as the vastness of space had dismayed Pascal, it leaves him exhilarant, with a sense of expansion, of inner radiance. The poet is not illuminated from without by sky or sea; he illuminated himself by the contact: the fire of his own soul burns high and clear in its excitement. This is a flash-of –lightning kind of poem supremely articulating a memorably imbibed experience: this sudden realization that, vast and brilliant as the universe may be, it is less so than the soul embracing it.